Peru is officially recognized as the Republic of Peru featuring a diverse range of habitats that include peaks of the Andes, tropical Amazon Basin rainforest, Amazon river, and the Pacific coastal region.Peru is a country that expands across 496,225 square miles (1,285,216 sq. km) and features a multiethnic population of 31 million from all continents. Peru is home to one of the 7 Wonders of the World, two of the 7 Natural Wonders of South America, and two of the 7 Wonders of South America. Peru is a wonder rich country for travelers looking for some of the best attractions in South America. 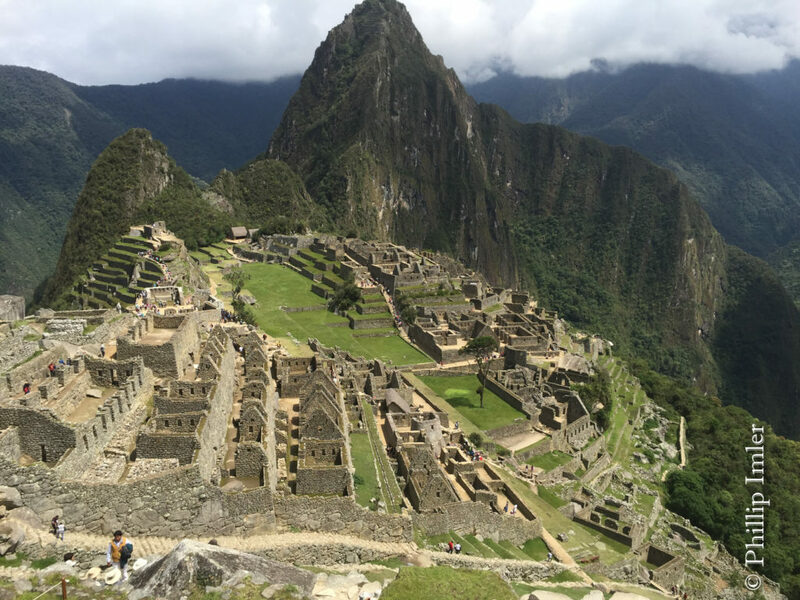 What are the 7 Wonders of Peru? Chan Chan is an archaeological site located just outside of Trujillo. It is a statistically significant historical site serving as the largest city of the pre-Columbian era in South America. As the capital of the empire between 900 to 1470, the Chan Chan sat as a magnificent city at the mouth of the Moche Valley. The city of Chan Chan stretched across 7.7 square miles (20 sq. km) serving as home to plazas, burial spots for the royalty, and storerooms. It believed to have served as residence for between 40,000 to 60,000 people. Chan Chan has been a UNESCO World Heritage Site since 1986. It is recognized as the largest adobe city within the Americas and the second largest within the world. It is a common tourist attraction for travelers coming to Peru. The Colca Canyon is located in southern Peru on the Colca River. The Colca Valley is a spectacularly colorful Andean valley with the grassy green hills and the towns with a Spanish flare cover various parts of the area. Colca Canyon reaches a depth of 10,730 feet (3,270 m) making it the deepest canyon in Peru, South America and much of the world. 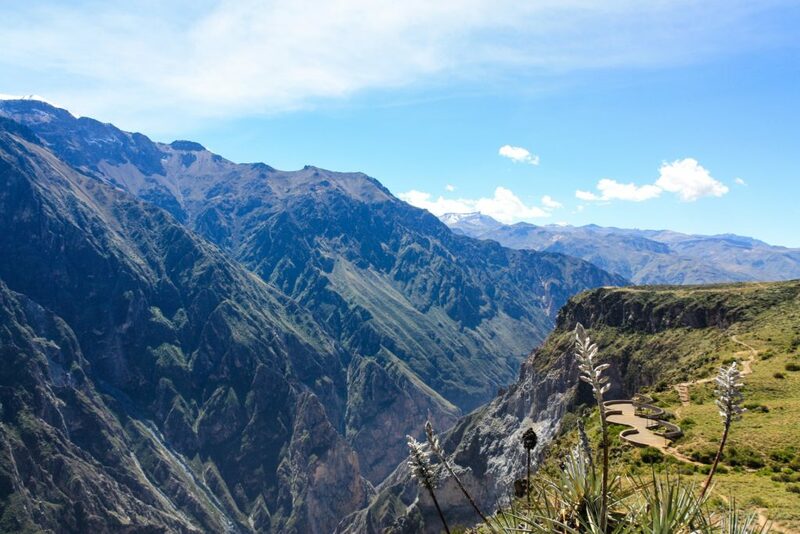 The Colca Canyon is also home to the Andean condor which is a threatened species and there are many conservation steps being taken to protect the species. Colca Canyon is also home to the giant hummingbird, Chilean flamingo, deer, fox, chinchilla, vicuna, zorrino, and the Andean goose. The most distant course of the Amazon River is located through the Colca valley. 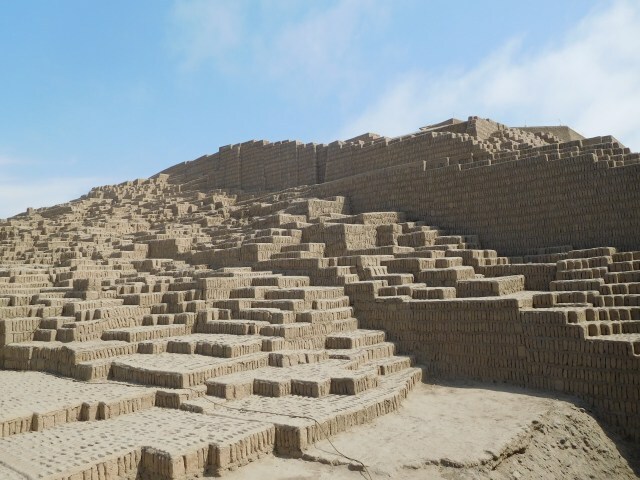 Huaca Pucllana, also known as Huaca Juliana, is a massive adobe and clay pyramid near Lima. It was constructed from seven staggered varying platforms between the years 200 AD and 700 AD. 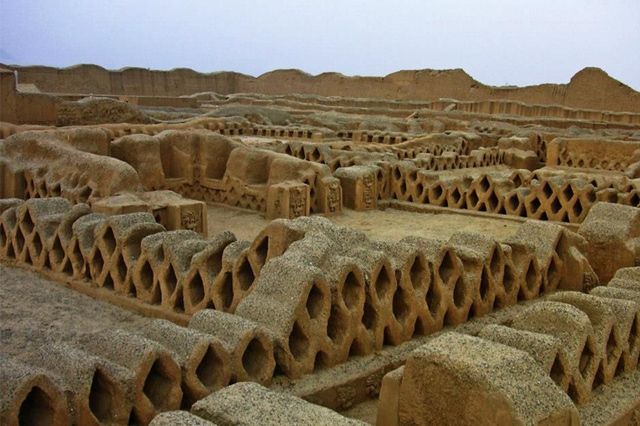 Huaca Pucllana, now an incredible historical archaeological site, was originally constructed as a significant ceremonial and administrative center. The expected purpose was to support the elite clergymen with religious power to manage the natural water resources. Huaca Pucllana reaches a height of just over 72 feet (22 m). It was later occupied by the Wari who utilized it as an important burial site for nobility. Lake Titicaca is a lake located in the Andes mountains on the border of Peru and Bolivia. It is the largest lake in South America by both surface area and volume of water. It is frequently referred to as the “highest navigable lake” in the world. There are several smaller lakes at higher elevations, it is the “navigable” facet that provides the highest distinction with the surface elevation located at 12,507 feet (3,812 m). 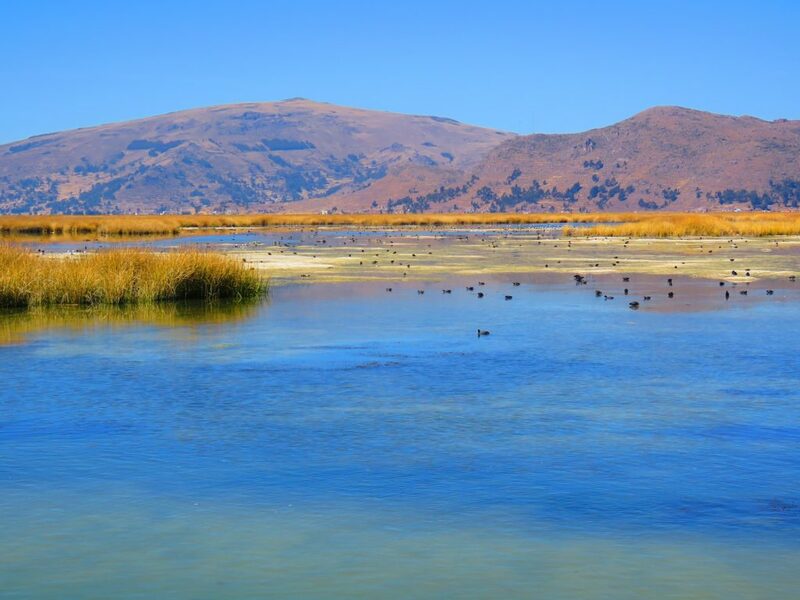 Lake Titicaca features a catchment area that expands across 22,400 square miles (58,000 sq. km). There are 42 islands found across the lake. Lake Titicaca has a surface area of 3,232 square miles (8,372 sq. km) and 214 cubic miles (893 cubic km) of water. The shore length measures 699 miles (1,125 km) around with a maximum depth of 922 feet (281 m) averaging out at 351 feet (107 m). Although it has such a significant elevation, the lake has never frozen. Machu Picchu, also called Machu Pikchu, is a 15th-century Inca citadel located atop a mountain ridge within the Cusco Region. The majority of archaeologist believe that it was built for the Inca emperor. Machu Picchu sits at an elevation of 7,970 feet (2,430). There are approximately 200 buildings constructed across the parallel terraces. The complex is comprised the Intihuatana, the Temple of the Sun, the Room of the Three Widows, an area for royalty, the guardhouse, Terrace of the Ceremonial Rock, and several structures that were intended for staff and support. 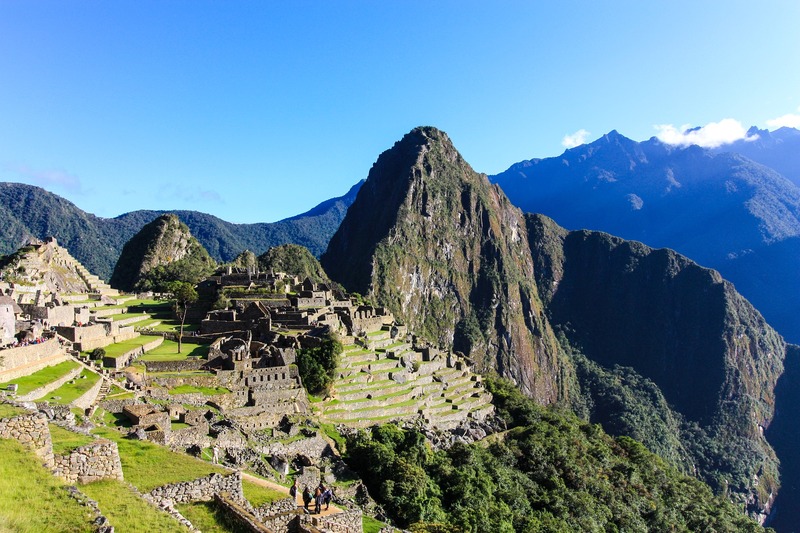 Machu Picchu is both a cultural and natural UNESCO World Heritage Site, a Peruvian Historic Sanctuary, and one of the 7 Wonders of South America. 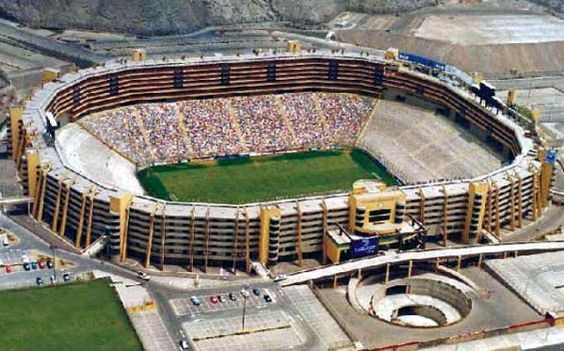 The Monumental Stadium U is a massive football, also called soccer, stadium constructed in Lima, Peru. The stadium serves as the home field for the football team known as the Universitario de Deportes. It is the largest football area in all of South America. Monumental Stadium U was built so that enormous amounts of spectators could attend the competitions. It has a capacity of 80,093 people. It took nine years to build the stadium which was completed in the spring of 2000. The official opening occurred July 2, 2000. The field size of Monumental Stadium U stretches across 344 feet (105 m) in length and 226 feet (69 m) wide. The stadium provides the affluent with luxury suites that will hold up to 20,916 sports fans. The Nazca Lines are a collection of massive ancient geoglyphs located in the Nazca Desert of the southern part of Peru. Although debates exist, most experts believe the symbols have religious importance. 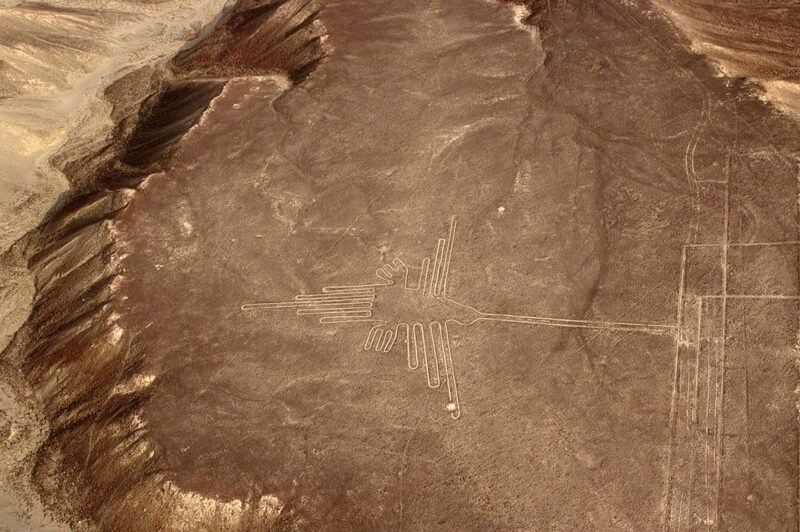 The Nazca Lines feature numerous lines and geometric shapes with over 70 taking shape of animals like fish, monkeys, birds, llamas, jaguars, and humans. Other natural designs include trees and flowers. This area is incredibly unique, particularly on the size and frequency of the designs. The largest geoglyph extends 1,200 feet (370 m) long. They are most easily seen and identified from the air, but some of the elevated plateaus and surrounding area will provide views of some of them. It is easy to argue that these should be considered as plausible candidates for the 7 Wonders of South America. Seven Wonders is an organization committed to promoting and protecting the wonders of the world. Discover, Explore, Learn and Protect (DELP), this is the objective of Seven Wonders. SW seeks to help individuals, groups and organizations discover and explore the wonders of the world, learn more about them and foster a philosophy and practice of conservation and protection. COPYRIGHT © SEVEN WONDERS 2017.